ItemD-06004 - The orginal legislative buildings in Victoria. ItemD-06212 - Group of women at Ryder Lake, B.C. ItemD-03920 - St. Saviour's church, Barkerville, BC. ItemD-03927 - "Early Days in Barkerville, BC." ItemD-03929 - E & N Railway. ItemD-03931 - E & N Railway. ItemD-03941 - Panoramic view of the Canada/U.S. border. 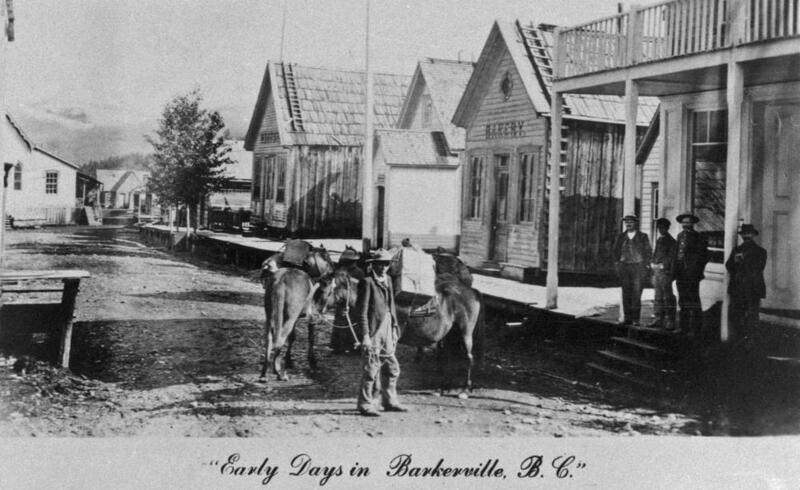 Item D-03927 - "Early Days in Barkerville, BC."